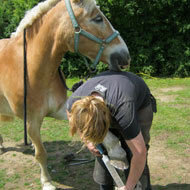 A high risk of laminitis was present in horses shod or trimmed at intervals of more than eight weeks. Weight gain more than doubles the risk of laminitis in horses and ponies, according to new research. The study, conducted by the Royal Veterinary College (RVC), the Animal Health Trust (AHT) and Rossdales Equine Hospital, also found that native ponies and their crosses are most at risk. Researchers say their findings underscore the importance of owners keeping track of their animal’s weight to prevent adverse health outcomes. In the study, scientists collected data from owners of more than 1,000 horses and ponies across the UK. For 29 months, these owners reported their animals' management, health and weight via an online questionnaire. Researchers found that a high risk of laminitis was present in horses shod or trimmed at intervals of more than eight weeks and in horses that took a long time to return to soundness after an episode of lameness. The study also found that grazing, diet, and health factors were closely linked to the development of laminitis - something the team wishes to investigate further. “This is one of the largest, and the first, online laminitis studies where we collected regular information from the same group of owners in real-time,” explained Dr Dee Pollard of the AHT. 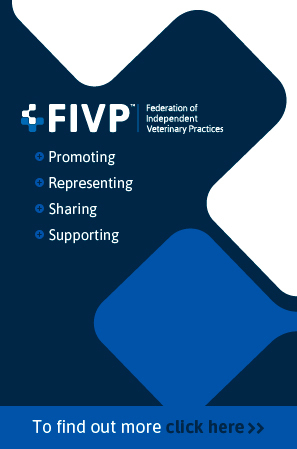 “We assessed the relationship between laminitis and many potential management and health factors and identified those more likely to be present before a laminitis episode was reported.